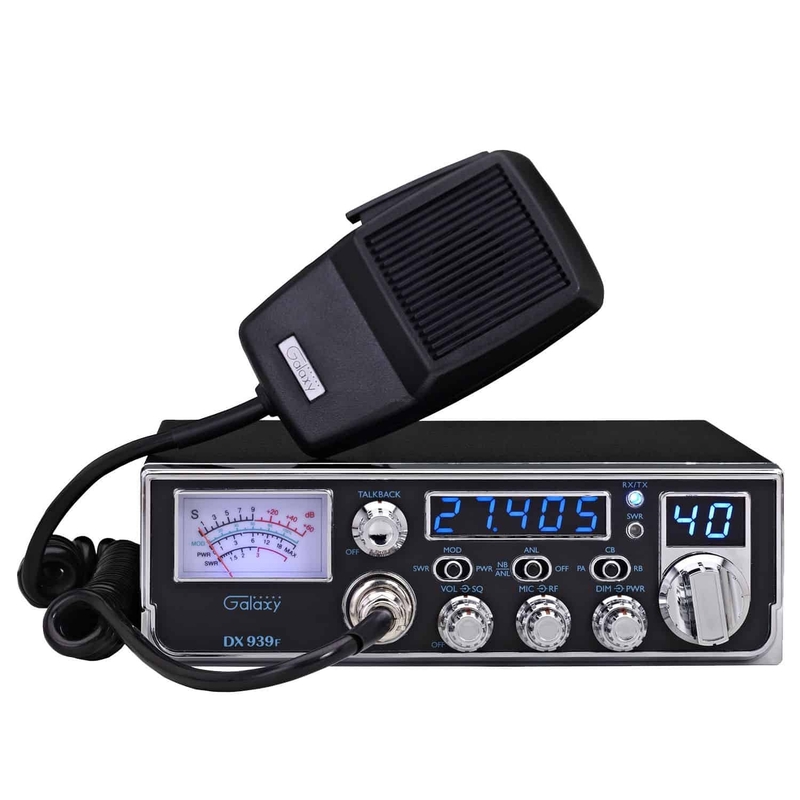 Galaxy mid-size (7-1/4"Wx9"Dx2-3/16"H) deluxe AM 40 channel CB radio features a blue Starlite back-lit face plate, blue 5 digit frequency counter, blue 2 digit channel display, adjustable Talk-back with on/off, Roger Beep, large S/RF meter, RX/TX LED indicator, dimmer control, variable power output control, RF Gain, Mic Gain, NB & ANL filters, auto SWR circuit, High SWR LED indicator, rear PA & external speaker jack & 4 pin front mount microphone. Two year factory warranty. Made in Vietnam.